To access your new UOITnet account please follow the steps outlined below. 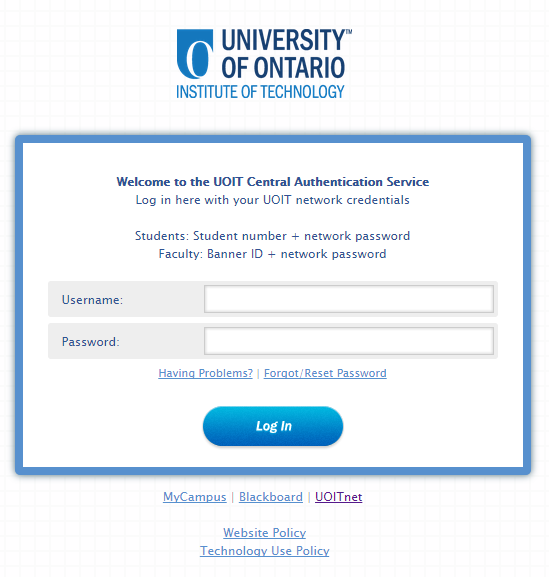 Step 1: Go to UOIT’s Central Authentication Service (CAS) http://mail.uoit.net/ This will take you to the Central Authentication Service (CAS) screen. Faculty and staff sign in using your Banner ID and network password. Note: please review UOIT’s Website Policy and Technology Use Policy via the links within the CAS window. Step 3: You are now in your UOITnet Account and it’s available for use! 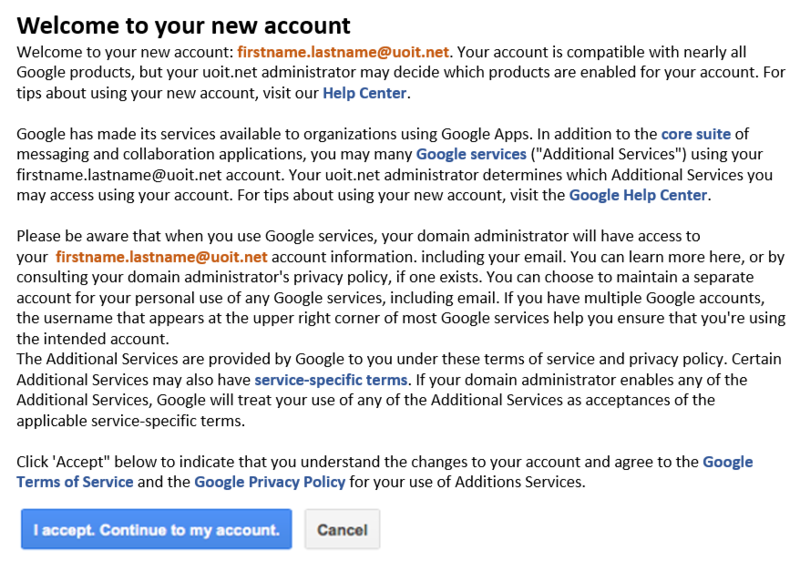 Your email address is shown in the top right hand corner of the screen. To create a new email click COMPOSE. To adjust the setting of your UOITnet account click on the gear icon. Simply choose the application you want to use.